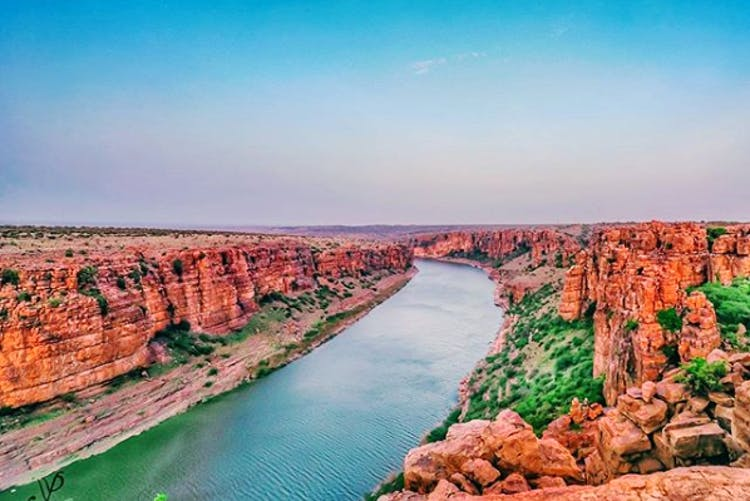 Caves, temples, and camping under the stars – a trip to Gandikota (regarded as The Grand Canyon of India) is something every adventurist must take. And if you have been waiting for the perfect moment, which is the Monsoon season, to explore Gandikota, check out this getaway by Muddie Trails that offers camping and coracle in Penna River. Gandikota is a seven and a half hour drive away from Hyderabad and it will wrap you in its majestic beauty. INR 4,644 for a 1 day/1 night stay, travel, food, campfire, lifejackets, accommodation, coracle experience, and guided walk. You'll be taken to the lake only if Belum Caves are closed.